Speculation over Steve Yzerman’s future plans, Bruins trade Adam McQuaid to the Rangers, an update on Sean Couturier and more in your NHL morning coffee headlines. THE DETROIT NEWS: Steve Yzerman’s decision to step down as general manager of the Tampa Bay Lightning for family reasons has sparked speculation over his future plans. Yzerman, who lives in Detroit and spent years with the Red Wings as a player and in the front office, will spend the final season of his contract with the Lightning as a special adviser to new GM Julien BriseBois. However, there’s already speculation suggesting he could rejoin the Wings next summer. SPECTOR’S NOTE: Much of that conjecture seems to be coming from disenchanted Red Wings followers unhappy over the direction of the once-great franchise under current GM Ken Holland. Perhaps the Wings ownership will try to woo back Yzerman if they can convince Holland, who recently signed a two-year contract, to step aside next summer. A more reasonable scenario would see Yzerman return as an assistant GM in preparation of taking over for Holland in 2020. Then again, perhaps he’ll consider options closer to home that might not include the Wings. 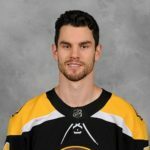 BOSTON HERALD: The Bruins yesterday traded defenseman Adam McQuaid to the New York Rangers in exchange for journeyman blueliner Steven Kampfer, a fourth-round pick in the 2019 NHL Draft and a conditional seventh-round selection. SPECTOR’S NOTE: A physical shutdown defenseman, McQuaid was one of the few remaining links to the Bruins 2011 Stanley Cup championship team. The Cornwall, PEI native turns 32 in October and was bumped down the Bruins depth chart last season as youngsers such as Charlie McAvoy and Brandon Carlo establish themselves as top-four rearguards. The move also frees up an additional $2.75 million to give the Bruins additional cap flexibility. McQuaid will get more playing time with the rebuilding Rangers, who could benefit in the short term by his physical style, experience and leadership. NBC SPORTS PHILADELPHIA: Flyers center Sean Couturier continues to make progress in his recovery from an offseason knee injury, recently returning to the ice prior to the start of the club’s rookie camp. He’s expected to return to action before the start of the season on Oct. 4. THE SCORE: The Calgary Flames have invited forward Logan Shaw to training camp on a professional tryout offer. SPECTOR’S NOTE: Another hole in the myth that “real hockey markets” support their franchises regardless of on-ice performance. THE ATHLETIC (SUBSCRIPTION REQUIRED): With NHL owners happy for the most part with the current collective bargaining agreement, Pierre LeBrun suggests the players could determine if there will be another lockout. SPECTOR’S NOTE: The league and the NHL Players Association have the opportunity to exercise their early opt-out in September 2019. The league gets first crack on Sept. 1 and the PA on Sept. 15. If one or the other takes that option the current CBA will expire on Sept. 15, 2020. Otherwise, the CBA will expire on Sept. 15, 2022. Escrow and broadening what constitutes hockey-related revenue could be the two biggest issues for the players. If revenue continues to rise significantly as it did last season, perhaps the players will decide not to bring this CBA to a premature close, even if they remain unhappy over escrow clawbacks. Lyle, the ONLY thing supporting that myth was the continued, often frenzied support, of the Leafs during the Ballard years and on into the 80s, 90s and first 14 years of the 2000s, while their Major Junior franchises had trouble drawing flies I might add. I think the fans in Mon will support Mon regardless. NHL attendance in MOn has run at full capacity as far back as ESPN shows it 2006-07. Does anyone really care that their advertising rates have dropped? So they go from making 92 million in pre-tax revenue to what 85 mil? Mon is & has been 1 of the top revenue earners in the NHL forever. Usually, top 2 always top 4 & make more money than the bottom 1/2 of the league combined. How is this news? Ha-ha! Minor point, Bos saves 2.1 mil in cap space as Kampher makes 650K. Agree on McQuaid & if Smith goes down who cares, NYR saves 950K. Let he skate as a Balck Ace only playing if absolutely necessary. I kind of have NYR’s D as ? I really don’t have a clue at present just a wish list really. From everything I was reading yesterday in regards to Bruin fans reaction to the Mcquaid trade; their is one section of the fan base who doesn’t like McQuaid, oft injured and to much of a cap hit. Then their is the other section (which I fall into) who appreciate his team toughness and willingness to block shots and always stood up for his teammates. Mcquaid was never a 3 or 4 dman always a 5 or 6 and played that roll well. Boston lost some toughness yesterday but gained over $2m in cap space. In the end a fair deal. Good Luck to McQuaid in NY, you’ll appreciate his brand of hockey. and if he stays healthy a playoff team might send back a 2nd rounder for his services. On this, we agree fully Caper.